Sunesons has introduced Autodesk AIP-2009 an advanced 3D Modeling and Analysis software from the Autodesk stable. This has been done to provide its engineers with a tool to compliment the high precision CNC machines such as CNC Hydraulic Turret Punch Press and CNC Press Brakes being used for manufacture of its Modular Sheet Steel Enclosures. AIP 2009 will undoubtedly improve the quality of the products being offered, as well as help in reduction of time and efforts in the various development projects being carried out by Sunesons for its clients. Sunesons commissions Motorum 2048 LT - 44 Station Turret Punch Press from Murata, Japan. Sunesons introduces motrcon:2485NX, a range of Next Gen Drawout MCC Enclosures @ ELECRAMA - 2012. Sunesons introduces motron:2485-NX , the latest range of Drawout MCC Enclosures with Twin Control Contacts. These enclosures are yet another step in our quest of designing & manufacture of the best quality, compact & economical Drawout MCC Enclosures. The new design was well received & quite appreciated by our clients & other visitors to our Stall @ ELECRAMA-2012. Sunesons has commissioned its latest addition to its list of advanced sheet steel fabrication machinery, the 20 ton, 44 Station, AC Servo CNC Turret Punch press named Motorum 2048 LT. This is the latest machine from the world renowned Murata Co. of Japan. This machine further enhances our production capability and capacity, as now we have the capacity to punch mild steel sheets of thickness up to 6.35mm at a hit rate of 350 hits/minute. 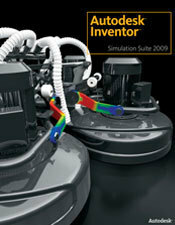 Sunesons introduces Autodesk Inventor Professional for advanced 3D Modeling and Analysis.